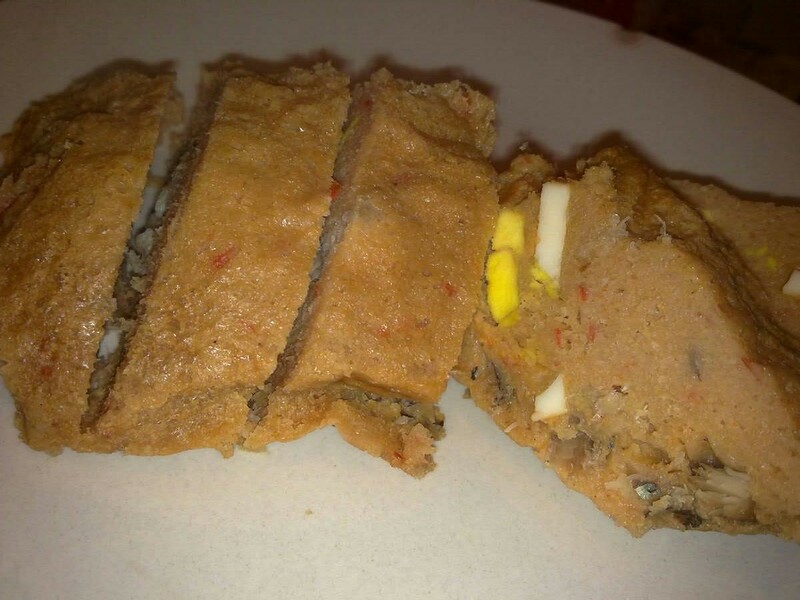 A fellow tweep (twitter friend) mentioned she was cooking moin moin today so that inspired me to do the same 🙂 The great thing about moin moin is it’s quite a healthy Nigerian meal. Beans are high in protein and contain a moderate amount of carbohydrates 🙂 Unlike akara, which is fried, moin moin is steamed and can be eaten on it’s own as a snack or with vegetables and meat or chicken. 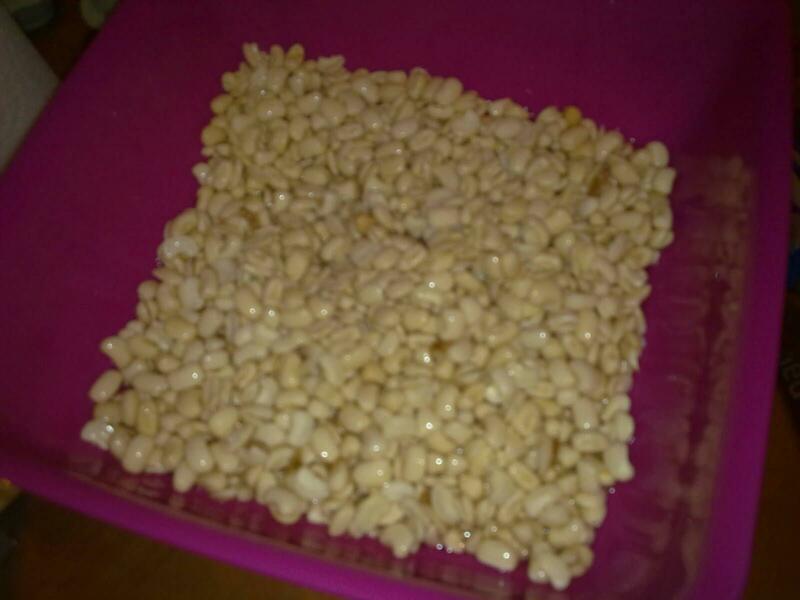 Soak the beans in water for 20 minutes. Now this is the most annoying part: You have to rub the beans between your hands to get the skin off, I did this while watching X Factor so it didn’t feel as bad. Boil 3 eggs, peel and slice. Peel and chop the onions and chop the bell peppers. Add to the bowl of beans, also add chillis and crayfish. Fill your blender halfway with the mix. Add a little water and blend, note that if you don’t have a strong blender, this will take forever. Pour the mix into a bowl and repeat this process till it’s all blended. Now add the mix back to the blender (still filling it halfway) and add 2ce blended mix into another bowl. Repeat till you’ve ‘re-blended’ it all. Melt the coconut oil and add to the mixture. Also add your salt and herbs. 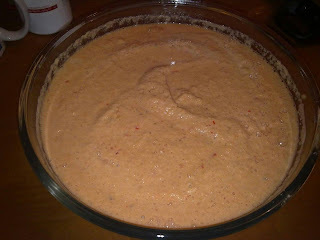 Fill each container halfway with the mixture and as much or as little of the sliced eggs (1-2 in my case) and sardines. Seal. 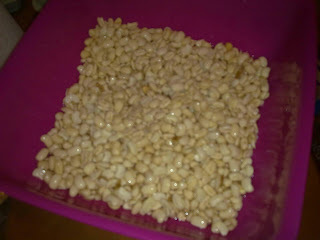 Continue till the mixture is used up. I placed the moin moin (bags) onto the pot stand, covered the pot and cooked on medium heat for 1 hour. I made sure I checked the level of the water every 15 minutes and refilled as required. This entry was posted in Eat In, Healthy Eating, Healthy Nigerian Recipes, How To Cook Healthy Food, Recipes on December 3, 2011 by Adura Odesanya. Yummy! Love it, will try it with coconut oil the next time I make it. Also, I don’t know that I can cook it without maggi…addicted! 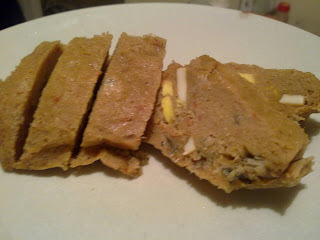 Muse, I did not like moin moin for years. Now, I love it. Adura, this looks almost pretty (if you can call food that), well done! Hi Adura, now you are making me crave moin moin. Lisabi foods (in naija) now sells “bean powder” for making moin moin and akara. Have you tried it? if yes please can you share how much water you used?